This large, inviting shop features the full selection of available merchandise, with new merchandise arriving regularly. The Palace Shop is conveniently located in the Iolani Barracks. A branch of The Palace Shop is located in the Palace Galleries for the convenience of our touring visitors. 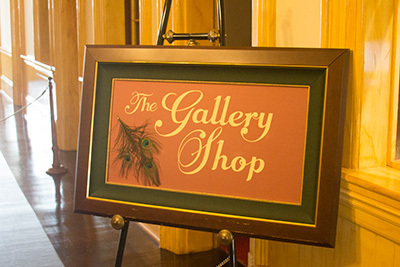 The Gallery Shop features a sampling of items from the Palace Shop. We welcome you to visit during your tour, even if just to browse and enjoy the warm ambiance.